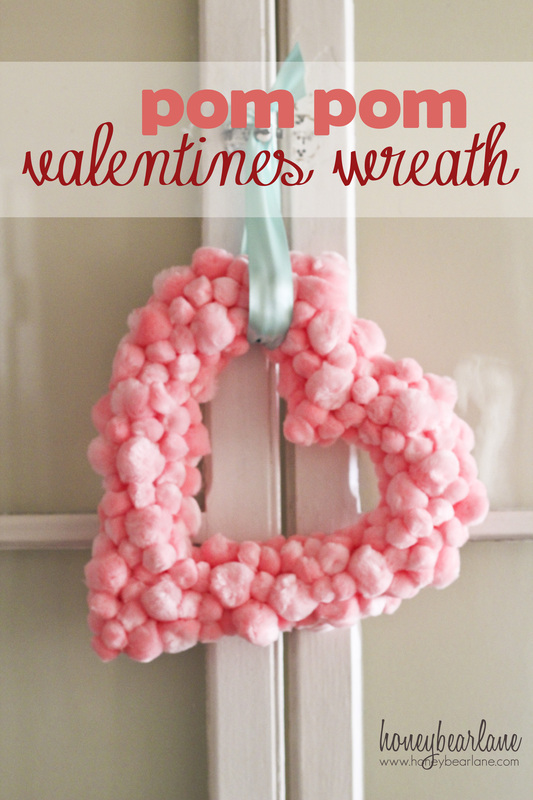 The flu is slowly leaving our house and I had a second this week to make a fun Valentine’s craft which was SUPER easy, fast, and adorable. It’s also pretty budget-friendly. 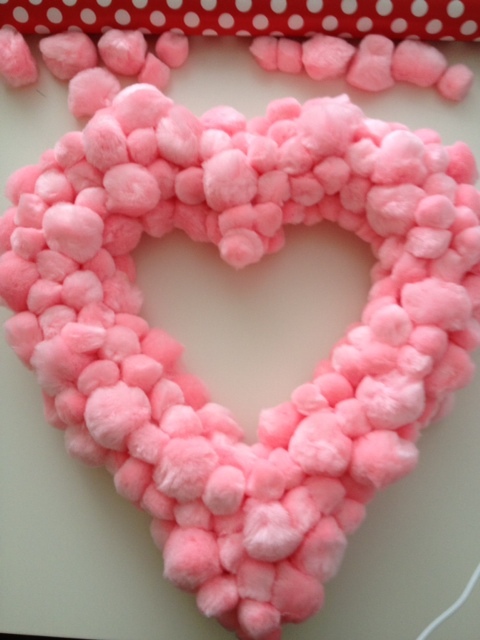 The heart wreath foam was about $3 and the packs of poms were $1 each (I bought 12 packs). So the total cost was $15 and I used hot glue I had on hand. This is like Wreaths for Dummies. Because I don’t even really need to give you instructions but here is what I did with a few pictures to demonstrate. First, I put some hot glue down on the form. Then I alternated between large poms and small poms. I covered the entire top of the heart. Then I moved on and did the outer edge and the inner edge. I didn’t put any on the back. And that’s it! I just tied a ribbon around it to hang it. Sometimes it felt like the poms weren’t securely attached but that’s not really the case–they are just weird that way. Everything is secured on with the glue. I liked using the two sizes of poms–that was the effect I wanted. Don’t be afraid of using too many, it just makes it more fluffy. But I wouldn’t skimp–the packs are only $1 each so really just go for it and get another pack. Your quote is from Despicable Me. It’s my husband’s text ringtone, always makes the office guys laugh. 🙂 Love the wreath, will try something similar, maybe with cut cardboard I have on hand. This is very sweet, and you even get to play with glue! this looks good enough to eat and reminds me of cotton candy. Really cute anda great idea. Pinned. Really cute–and so glad you guys are starting to get better! Thanks! It really is the cutest thing ever. I found myself admiring it again the other day even though it’s been hanging up for awhile now! I love this! 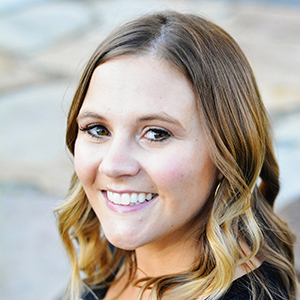 Once again, Heidi, you amaze me! This is adorable! I saw your wreath featured at Dollar Store Crafts so I wanted to stop by and say hi! Heidi this is so cute! I can’t wait to try it. I am so excited for valentines because I get to girly the house up. And this wreath would be a perfect addition to my decor. I am in LOVE with your WREATH!!! Pinning immediately! Aww, it’s the cutest thing ever!! I love how fluffy it looks! Perfect! I absolutely love it! 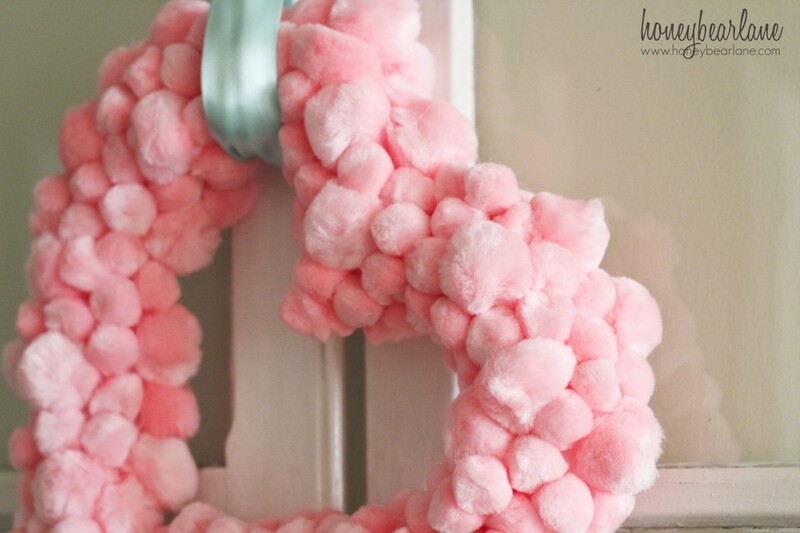 Did you find the pom poms at Hobby Lobby as well? Or Dollar Tree? Yes, at Hobby Lobby in small bags. I went to the Hobby Lobby website and entered pink cotton balls and nothing comes up from search. Is there a different name they are called? I love your wreath and want to make one. I tried looking last week and gave up but never could get it out of my mind so I’m on the hunt again. Any help would be greatly appreciated! This is so fluffy and darling! This is really cute! Thanks for showing us! Oh my!! This is the cutest wreath I’ve ever seen. Please stop by to link- http://atozebracelebrations.com/2013/01/link-party-4.html LOVE your blog! I love this. It makes me want to eat candy for some reason! I’m featuring this at somedaycrafts.blogspot.com. Cute Wreath! I want to give this a try. I’ll have to go looking for pink or red pom poms this week. Thanks! It’s fun and easy! Super cute! I am pinning! Hi! 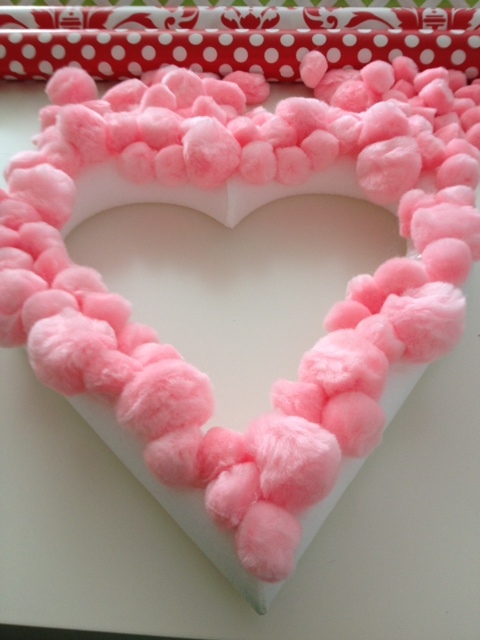 What size of foam heart did you use from Hobby Lobby? 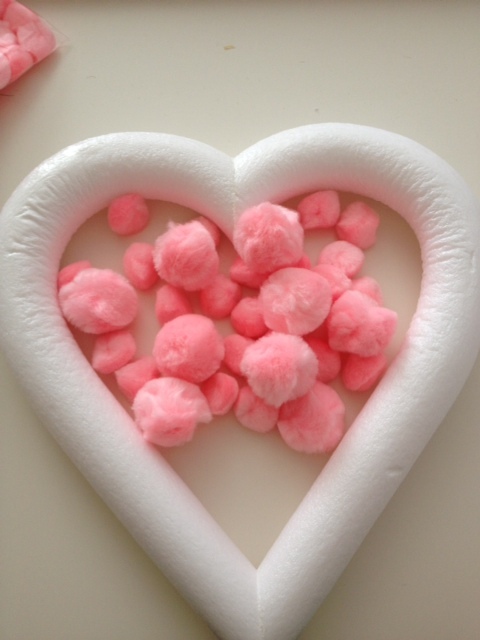 The 9″ x 1″ Styrofoam Extruded Open Heart? or the 12″ x 1 1/8″ Styrofoam Extruded Open Heart…Thanks!!! I am not sure…I think it was just the rounded one and the 9″ maybe? I think either one would be cute though! 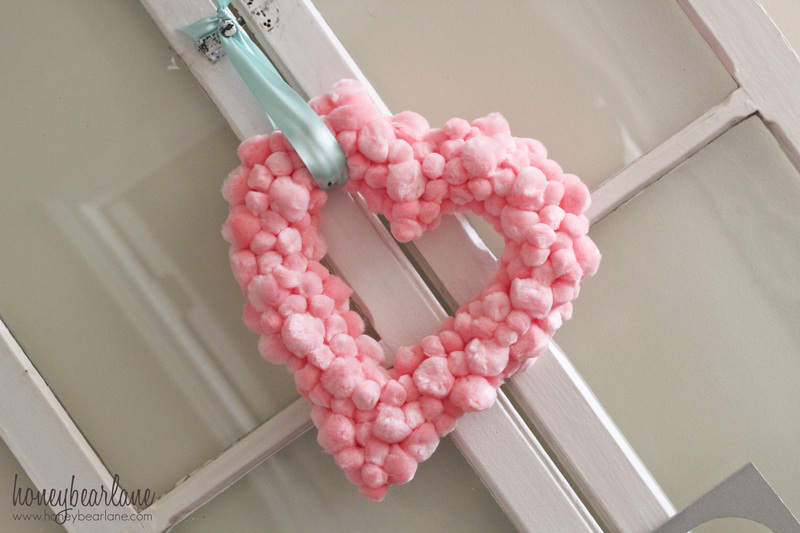 They look so much like cotton balls, but they’re pom poms, right? How do you get them so soft looking like that? Beautiful!! I work social media for a company and we’re interested in using this image for Valentine’s Day post promoting cotton. May we have permission to use this adorable image? If so, would include a link to your blog. Please email me for further details. You may email me at Heidi@honeybearlane.com.